A much anticipated fixture began as Quinton lost the toss and we were sent in to bat. Big Dan Eckstein and Ram opened up with a mixture of exciting strokeplay and skillfull negation. Both batsmen made use of anything too full or wide as they laid a solid platform, bringing up the 100 partnership before Dan was dismissed for a brutal 57. Whilst Ram held the fort, we were unable to capitalise on the glowing start and lost 4 wickets for not many. When Ram was dismissed for 40, VCC was staring down the barrell of a sub par total. But just when we needed it, Captain Quinton (32) and Dan Stevenson (16) combined to produce a brilliant counterattack, hitting the gaps, running hard, and also smashing the odd boundary. After our 40 overs, VCC managed a very defendable 197. Despite putting up a decent total we knew we would have to not just bowl and field well, but also produce a little bit of magic were we to win this game against a much vaunted ACCW batting line up. That magic was provided by seasoned campaigner Mark Surridge when he held onto an absolute rain maker, the result of Dan Eckstein (1-38) inducing a rash shot from the ACCW opener. The grind continued, our backs right up against it as the opposition batsmen settled in. Some great pressure created in the field led to 2 more wickets just as the ACCW batsmen were looking to go up a gear. With the match firmly in the balance, enter the beguiling AB (3-34). With just the right blend of accuracy and clever variations, he managed to dry up the runs and extract 3 crucial wickets in the spell that turned the game. Our noses just in front for the first time in the match, Wali (2-33) was brought back into the attack to really drive home the advantage. And that he did, taking 2 wickets in two balls, the second of which was virtually unplayable. A few nervous overs and a couple of easy run outs later and ACCW were all out for 163, sending VCC through to the big dance! Vienna CC won by 146 runs. Vienna CC won by 110 runs. 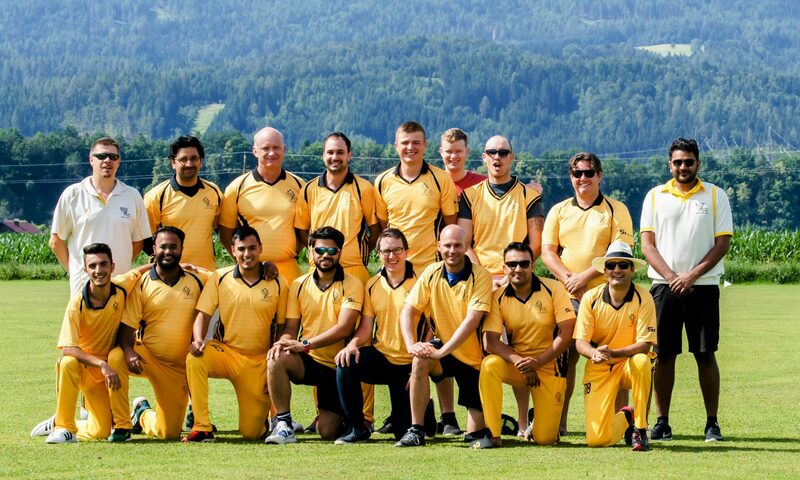 Ljubljana CC won by 110 runs. Vienna CC won by 8 runs. PAK Riders CC won by 18 runs.